A major 85 piece exhibition of new work to go on show at picturecraft gallery in Holt, starting Saturday 26th September. For further information, please contact the gallery at 01263 711040. A major 85 piece exhibition of new work to go on show at the ‘Picturecraft Gallery’, Holt, Nth. Norfolk 13th to 18th September. 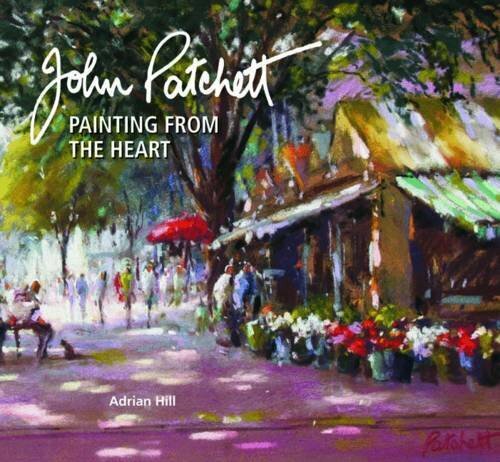 The exhibition will coincide with a new book launch “Painting from the heart” by Halsgrove Publishers. Further details can be obtained by contacting me on 01502 710491, or the gallery on 01263 711040. This is an exhibition of recent work, many of which have been painted on location in and around the delightful harbour and seaside resort of Southwold. For further information, please contact the gallery, on 01502 723888. Picturecraft Gallery, 23 Lees Yard, Holt, Norfolk. Tel; 01263 711040. Southwold Gallery, 64a High Street, Southwold, Suffolk. Tel; 01502 723888. Mandells Art Gallery, Elm Hill, Norwich. Tel; 01603 626892. Ferini Art Gallery, Pakefield, Lowestoft. Tel; 01502 562222. (for galleries -see ‘links’ section). One and two day weekend Pastel Workshops by John are continuing to prove very popular for all those who attend. They offer members of the public a unique opportunity to see John demonstrating his style and technique, receive personal and supportive tuition and experience the infectious creativity that has become a hallmark of his teaching. Broadland Art Centre, Dilham, Norfolk will be the venue for an exciting weekend workshop entitled “Atmospheric Pastels”, on Saturday 30th June and Sunday 1st July 2012. For further information, please contact Angela Dammery, at B.A.C. on 01692 536486 (see ‘links’ section). For details and /or brochure contact Angela on 01692 536486 or 07702 475361. Further information is available on the ‘Broadland Arts Centre’ website. For information about John’s next MAJOR EXHIBITION of new work, click on the “more news items” button, below. Here are some tips, which you may find useful, when working with pastels on location.